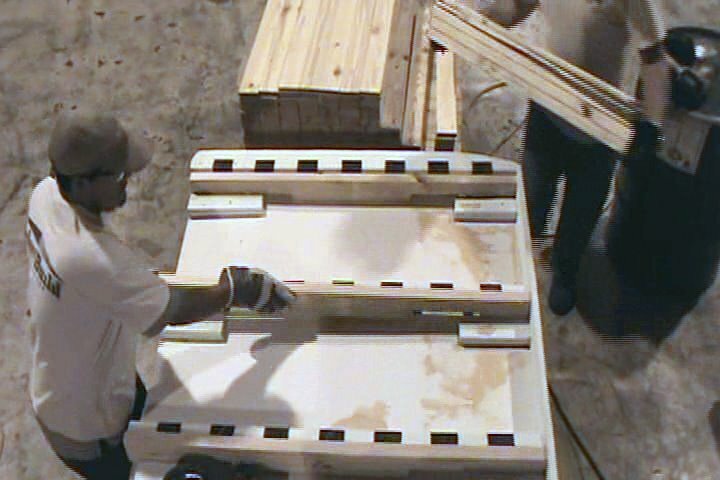 We are Florida Pallet LLC a certified manufacturer of pallet components that comply with the International Plant Protection Committee (IPPC) regulations for wood pallets and packaging material in international trade. 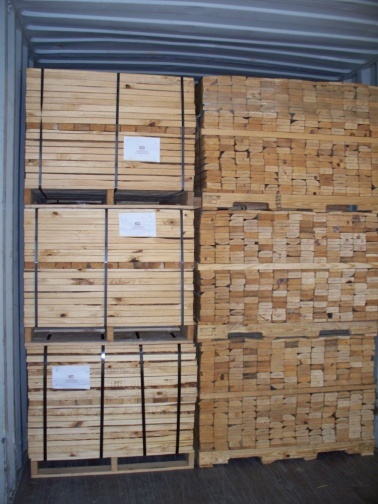 Each piece of lumber we ship carries the necessary IPPC certification stamp. Our system is a proven method of improving our customer’s pallet quality and inventory management and reducing their pallet costs. Here’s some of what our customers are saying about Rapid-Make pallet kits. We are very happy with the improved quality of our pallets since we started building our own at the brewery. The materials and equipment supplied all work very well. We are building a pallet that is lighter in weight and yet stronger than the assembled pallets we used to buy. Our total cost per pallet is less, that’s very good too. The component parts take up much less space than the stacks of assembled pallets we used to keep in stock. Now we are able to keep a comfortable pallet inventory on hand, even in the very limited amount of space we have at the plant. We assemble small quantities on an as needed basis. Rapid-Make Pallet Kits are your pallet components manufactured to your exact specifications and shipped ready to be assembled. No waste. No measuring. No cutting. Our custom built jigs make assembly very simple, quick and easy. Just place the pieces in the jig and nail them together using simple to operate pneumatic guns and coiled pallet nails. We can supply everything you need. Minimum order, one container load. We can set up a complete in house pallet assembling system, including all necessary equipment, tools and training. It’s quick and easy and very low cost.